Wood is a natural fibrous resource material whose natural design allows it to perform in a wet environment, absorbing and losing moisture with changes in the humidity of the surrounding air to balance its moisture content. All wood is hygroscopic, meaning that when exposed to air, it will release or pick up moisture until it reaches equilibrium with the humidity in the air. Because of this fact all wood will expand as it gains moisture and will shrink when it loses moisture. Wood also does not shrink or swell equally in all directions. Moisture Content of wood affects its structural properties such as weight, dimensions and strength. Any solid wood or wood component will expand or contract over time with changing moisture and climate conditions and this exchange of moisture is ongoing. In an uncontrolled environment, wood is a dimensionally unstable material. Some wood species are more hygroscopic than others and the expansion and contraction is more pronounced. Softwoods shrink and swell less than hardwoods when the Moisture Content changes. 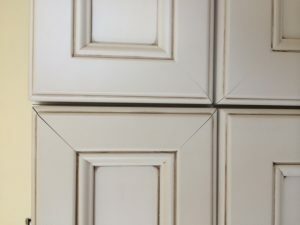 We make assumptions that because furniture or cabinetry is “finished” with toners, stains, sealers and topcoats that it is impervious to moisture. Although finishes will inhibit and limit the absorption of moisture they will not keep it from occurring. Much like a wood table will absorb the water from the condensation on a drinking glass or a spill, wood will absorb moisture through direct contact with liquids or absorption from the air. Moisture content of wood is directly related to the humidity and temperature of the surrounding air. Wood products in humid climates are especially susceptible to expansion due to the extra moisture in the air. The wood will absorb this moisture, causing it to swell or expand. If wood products are exposed to excessive moisture for an extended period of time, they may not resume to their original size. The key to controlling expansion and contraction is to control moisture in the wood by controlling the humidity. 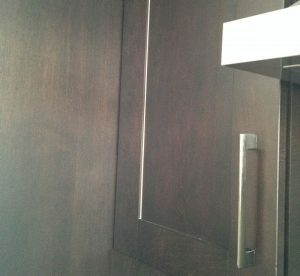 A common issue experienced with wood kitchen cabinet doors would be that they start to rub together. The minimum moisture content for decay to propagate is 22 to 24 percent, so building experts recommend 19 percent as the maximum safe moisture content for untreated wood in service. Water by itself does not harm the wood, but rather, wood that has consistent high moisture content will enable fungal organisms to grow. In low humidity conditions, wood will give off/release moisture and contract or shrink in size. During winter in colder environments, cabinetry will shrink from the dry heat produced by your home’s heating system. As the wood loses moisture, gaps will appear at the joints between the cabinetry pieces. 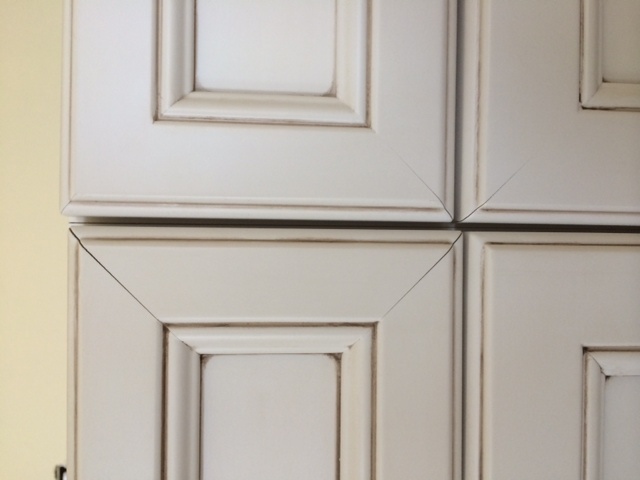 Painted doors will also reveal seams at the joints as this natural movement occurs. Unfinished lines may appear around door panels. 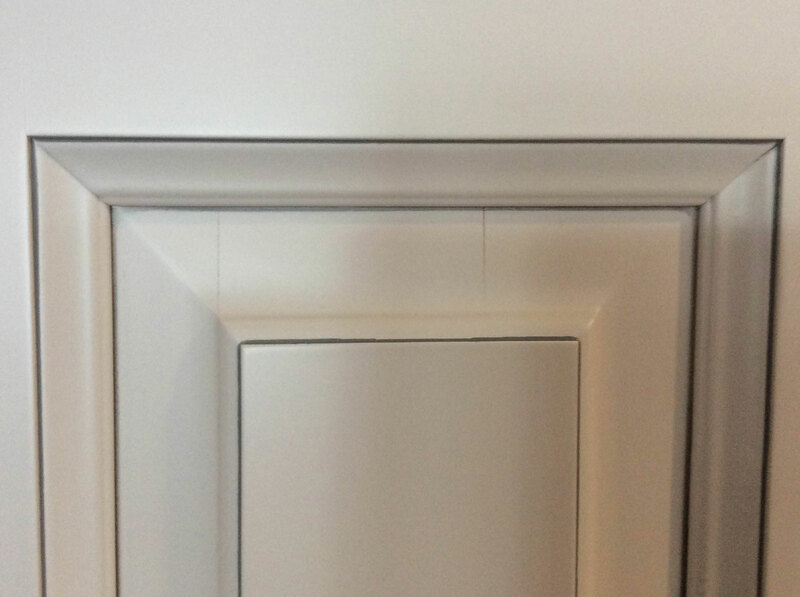 When the cabinetry regains its lost moisture under produced humidification or during the summer months, these gaps will often close and be less noticeable. This occurs with all wood products such as Kitchen Cabinetry, Millwork or Furniture, and will occur in any environment. Within the wood working industry you will often see a variety of suggested humidity ranges for your home from different types of manufacturers producing a variety of wood products. Often ranges of 25-55%, 30-60%, 35-65% are suggested. There is no magic number for humidity levels in any one home or dwelling as each is unique in its construction and design. Construction methods and design are somewhat based on its external environment as there are different forms of insulating, ventilating, heating and cooling all of which have an effect on the interior environment. The ranges provided are only a range, humidity levels cannot be specified, only recommended by any manufacturer of wood products. Recommended temperature would be approximately 21-22°C or 70°F with a humidity level of approximately 35%-55%. The main objective when addressing moisture content in wood is to keep it from entering the home and to balance the moisture content within the building itself. Moisture control by means of accepted design and construction details is a simple way of protecting woods against the effects of moisture. In applications where there is a high probability of the wood staying wet, designers should select materials that are more naturally resistant to fluctuations in humidity such as the use of softwood rather than hardwood as they are less affected by changes in moisture content due to fluctuations in humidity within the home. As the relative humidity increases so will the moisture content of wood products and they will expand. The opposite is also true that as the relative humidity goes down so will the moisture content and wood products will contract. Natural expansion and contraction of hardwoods will at times be visible on painted finishes. This natural characteristic is to be expected in a normal home throughout the year even with climate control and is not considered defective. The higher relative humidity is allowed to go beyond the recommended 55% the more wood products will expand and may fail at extreme moisture content levels. 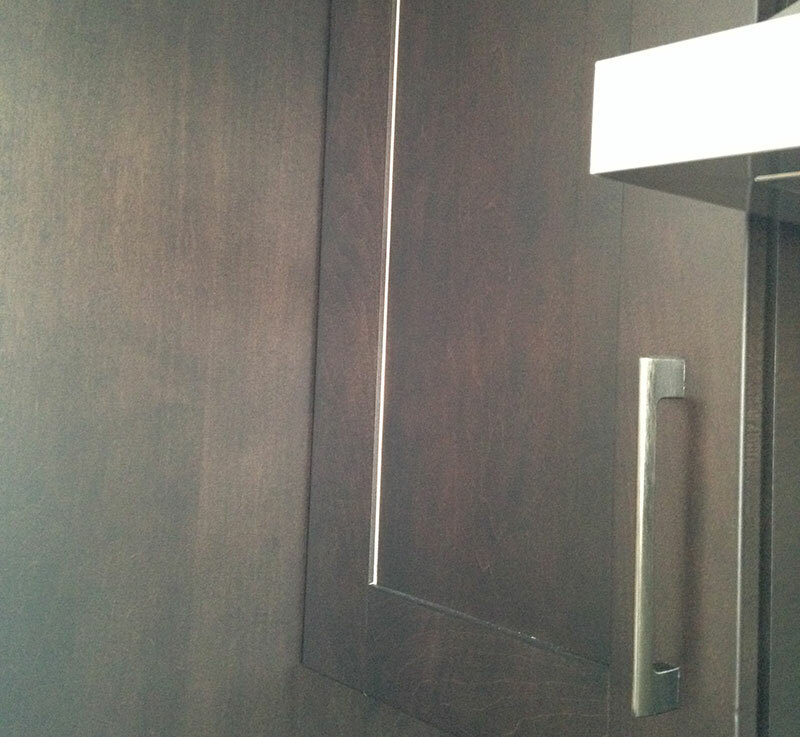 Failure possibilities include but are not limited to: splits, doors rubbing together or against the frame of the cabinet, cracks at laminated wood joints, wood joint expansion as well as separation of joints due to inset floating panel expansion. Low relative humidity levels will cause the wood to shrink. Some failure possibilities include but are not limited to: cracking, joints opening, raw wood lines exposed around floating center panels. Expansion and contraction of wood components due to moisture content fluctuation caused by humidity is a natural occurrence and is not considered a defect in material or workmanship. Moisture related issues can be minimized by maintaining a steady relative humidity in the home environment. Monitor Temperature and Humidity with a simple electronic Thermo-Hygrometer. Proper climate control within the home can greatly reduce the occurrence of moisture-related problems. Homes that are not occupied should always be maintained with some type of climate control.